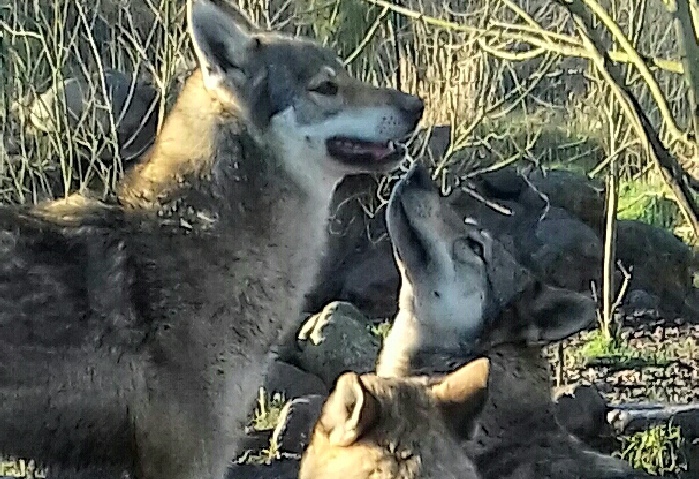 Today's wolf dogs are not the result of a wild wolf bred with a domestic dog. 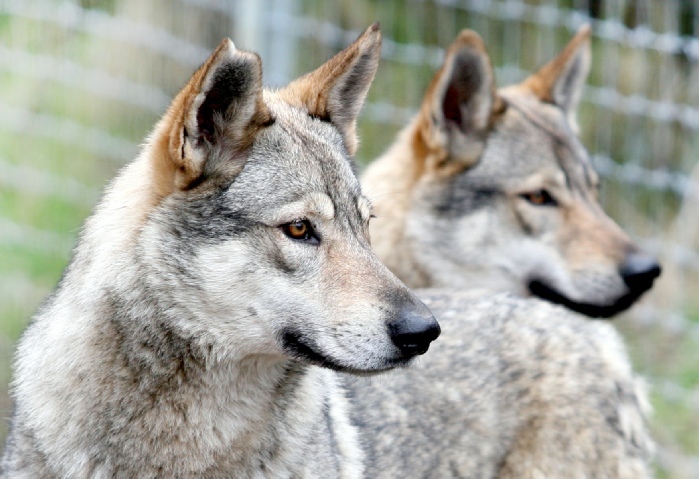 They are the result of dozens or more generations of wolf dogs bred with wolf dogs. Decades ago wolf breeders in the fur trade sold pure wolves to zoos, exhibitionists, and the public. While these commercial breeders no longer exist, many of these private owners still breed wolf dogs. 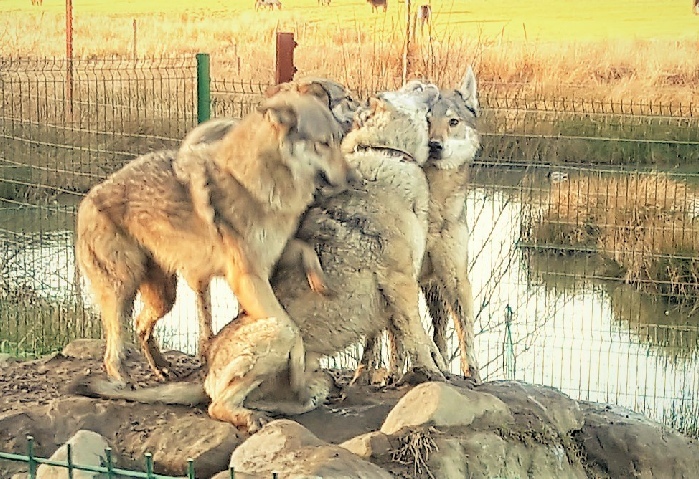 Most domestic bred wolf dogs can trace their lineage back to the fur farms of the 1950's. A wolf dog is the offspring of a wolf and a dog, a wolf and a wolf dog, or two wolf dogs. Many hybrids are part German Shepherd, Alaskan Malamute, or Siberian Husky, but Chow Chows, Akitas, and other breeds are often used. The wolf part of the heritage comes from a population of wolves that has been bred in captivity for many years, as it is illegal to capture a wolf from the wild. The wolf dog has become one of the most controversial canines in North America in recent years. Their increasing popularity as pets has led to an increase of animals that the general public is ill-equipped to handle. Shelters are faced with animals that they cannot put up for adoption; veterinarians are faced with concerns over inoculations (there is no rabies vaccine available for wolves or hybrids). Distinguishing a wolf from a wolf dog can be difficult unless the animal has characteristics of a domestic breed such as a curly tail or floppy ears. Wolf dog hybrids are more difficult and may be misclassified even with sophisticated measurements. Wolf dogs are not native wild animals. When wild wolves and domestic dogs are bred the result is often an unpredictable and mentally conflicted wolf dog. Dogs are gregarious, aggressive, and obedient to please man. Wolves are shy, highly intelligent, have an inbred fear of man and are psychologically and sociologically very different from dogs. Click here to read about Marissa, Phelan and their friends at the Sanctuary.